Daniel ‘Danno’ Tory is America’s newest Congressman, and ‘Most Eligible Bachelor.’ But when a beloved uncle passes away, Danno discovers a secret that challenges everything he thought he knew about his family’s past…a secret that threatens his congressional seat even before he can be sworn into office. In a personal quest to learn the truth, Danno embarks on an adventure that takes him from his hometown of Chicago to medieval castles of Switzerland, through Russia’s ancient monasteries, to a vast, hidden Baltic treasure that the Kremlin has long been seeking. Danno’s journey quickly becomes a deadly race against time. As assassination teams relentlessly pursue him, Danno uncovers a plot that could suddenly shift the balance of power in Europe to an unthinkable war that only he can stop, toward a single personal revelation that is impossible for him to conceive. 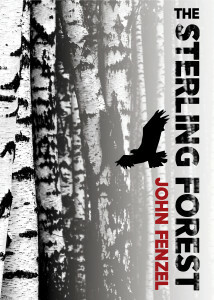 Riveting, mysterious, and cogent, The Sterling Forest is a fascinating novel with a story that has been torn from today s headlines…while transcending the known boundaries of faith, family and friendship.